Daily lake trout limits on Grand Traverse Bay are going down from one to two this year. The daily lake trout limit for anglers on Grand Traverse Bay is reduced from two fish to one - effective immediately. The Michigan Natural Resources Commission announced the change Friday. 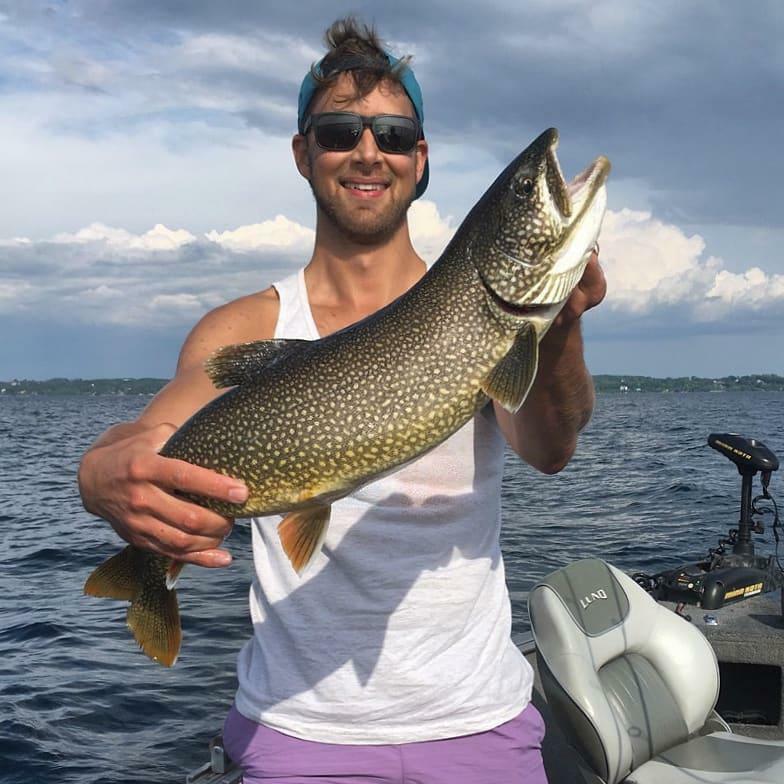 They say it was necessary because last year’s recreational harvest limit for lake trout in Grand Traverse Bay was exceeded by nearly 16,000 pounds. “We would encourage anglers to keep the first lake trout they catch and then shift to targeting other species,” says Heather Hettinger, a local DNR fisheries biologist. “Lake trout are not good targets of catch-and-release fishing, because about 40% of those that are caught and released won't survive to be caught again,” Hettinger says. Harvest limits are determined by treaty tribes, the federal government and the state. People will not be able to catch as many lake trout in Grand Traverse Bay this year. The Michigan Department of Natural Resources says recreational fishers harvested an extra 15,800 pounds from the bay in 2018. As a result, the harvest limit has to be reduced by around 30,000 pounds this fishing season.